When it comes to careers in finance, Sydney usually is not the first place that would pop into your head; a lot of investment bankers tend to overlook not just the city but the country as a whole in favor of either the classic New York or London, or more exotic locations such as Hong Kong and Singapore. And yet, while not the most traditional destination, Down Under has quite a lot to offer to investment bankers – both aspiring and incumbent – on account of its stable economy and close ties with the booming Asian markets. Why Sydney for Finance Careers? Australia in general is of the most stable political and regulatory environments in the world which provides an excellent setting for doing business. While not completely immune to international financial woes the nation’s economy has proven to be quite resilient, boosted by the continent’s abundant natural resources. The close proximity to Asia and the economic ties with China, Australia’s most important trading partner, have also made the country an attractive destination for multinational companies. 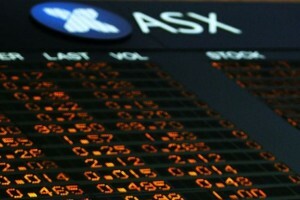 Are you ready for investment banking in Sydney? Sydney on the other hand is the nation’s major financial centre, with the Reserve Bank of Australia having its headquarters in the city. Sydney is also the home to the Australian Securities Exchange, created in 2006 through the merger of the Australian Stock Exchange and the Sydney Futures Exchange. So, it is no wonder that a number of international financial institutions have chosen the city as their regional headquarters. With Sydney being Australia’s primary financial centre, it is only natural that it is also the nation’s investment banking hotspot. It is the home of local heavyweight Macquarie Group which provides banking, financial, advisory, investment and funds management services. Westpac and Commonwealth Bank of Australia are some of the other major Aussie banks headquartered in Sydney. Moving on to international banking giants, Deutsche Bank has been operating in Australia since 1974 and now has around 1,000 employees in its offices in Sydney as well as Melbourne. J.P. Morgan is another major international institution with deep client relationships and broad product capabilities in Australia where it also provides commercial banking, asset management, treasury services and investor services, as noted on the bank’s website. Credit Suisse, which opened an office in Sydney in 1982, forecasts that the region will continue to be an important financial engine due to its vibrant financial services sector, large pool of superannuation funds and history of innovation. Other international banking giants with offices in Sydney include Goldman Sachs, Citigroup, HSBC and UBS. Being Australia’s most important financial centre, Sydney has also turned into an attractive location for private equity and mostly, venture capital. According to an October 2014 article in The Sydney Morning Herald, the city’s financial services and new technologies – or fintech – sector is experiencing strong global growth; in 2013, financing activity in the industry was estimated to be $3 billion, with the number forecast to rise to between $6 billion and $8 billion. Looking beyond the job opportunities in investment banking, as well as in the broader financial sector, Sydney has also established itself as a favored destination for investment bankers on account of its much more relaxed lifestyle in comparison to Wall Street or the London City. Warm temperatures, palm trees, spectacular beaches with beautiful white sand as well as the abundance of waves suitable for surfing make for a much less stressful lifestyle. As suggested in a Wall Street Journal article, it is not uncommon for investment bankers in Sydney to kick off their day surfing the waves. In addition to brushing up on financial modeling skills, bankers considering relocation to Australia will have to get used to the change of seasons which comes with passing over the equator. Still, the cultural adjustment is likely to cause much less stress in comparison to Hong Kong or Singapore for instance. While there are certain downsides to working Down Under, such as the lengthy trips and the high cost of living on account of the strong Aussie dollar, Australia and its top financial spot do have a lot to offer in terms of both job opportunities and lifestyle to those who have chosen a career in investment banking. Or to put it in other words, there are a lot of things in Sydney well worth the trip other than the famous Opera House.